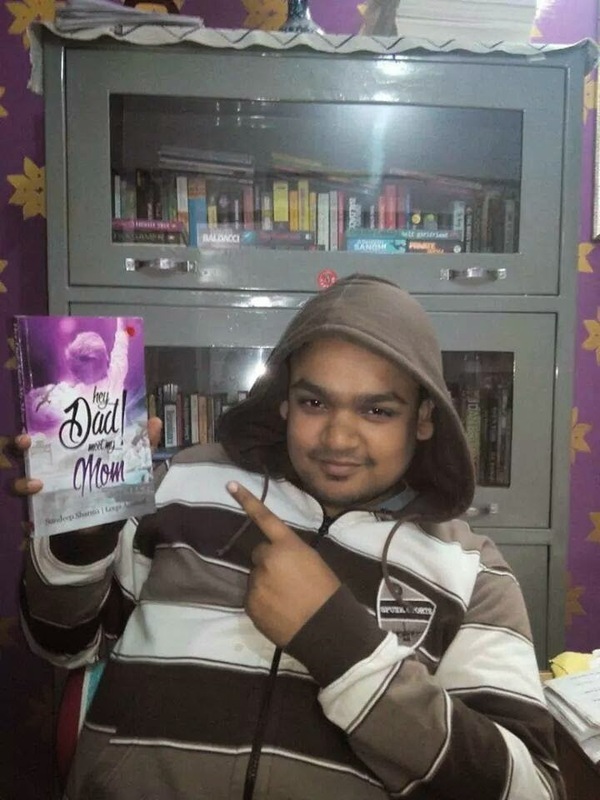 He is a parvenu in the literary field ., definitely a person who is born for writing and with his first book he indicates that he is here to stay and win zillions of heart. After reading his book, we had a candid conversation with this inspiring author and this is what we instigated about him.. !! I wanted to write something unusual; a kind of love story that should literally be NEVER HEARD BEFORE. I had an amazing title in my mind, the only thing I needed was a story. Slowly, chapter by chapter, the story started to form and then one day, everything stuck. That was the moment my co-author came in, Leepi Agrawal, I discussed with her the plot of the story and she gave some brilliant ideas for the second half of the book and together we were able to write something that was totally new for our readers; a kind of blended genre. Who is your inspiration behind writing? My father. He loved to write but never showed his writings to anyone (Except my mother). I have seen him burning his diary where he used to write poetry. That burning diary ignited an author within me. I was around 10 years old then. I started very badly and still I am just learning the basics of writing. I used to write short stories on daily basis on a blog and then tried to write full length novels. So basically I am just living the dream of my father and I love that proud smile on his face whenever someone recognizes me as an author. Currently I am working on two projects simultaneously; two very different genres. One of them is ‘Let The Game Begin!’ which is a historical thriller fiction based on the origin of Chess in India and the other one is a co-authored project which is again a fantastic ride of mixed genres with a CATCHY TITLE and mind blowing story. Who is your emotional anchor? Three ladies; my mother (Bina Sharma), my sister (Deepshikha Sharma) and my cousin sister (Kavita Sharma), my biggest critic and fan. And after them my ‘The Author’s Blog’ Team that keeps on encouraging me to write more and more. This is a genre hardly explored / celebrated in the writing industry. What are your views about it? Well yes, I think HDM3 is the first one to travel this less (Never) travelled road and that’s what the beauty of this book is! Till the end you really can’t guess the ‘real’ genre of the book. I really wanted to write something that should be absolutely new for this writing field and when you have asked me this question, I think I succeeded (*winks*). What were your expectations from this book? I just wanted to be read. I had a story to tell and I just did the same. By the grace of god it reached the masses and hopefully the second edition of the book will come out soon. What else can a new author want? I am stunned to see the response of the readers, they did connect with the characters, they abused me for killing (Spoiler Alert) one of the strongest character of the book. I still remember the day when a famous author posted on his timeline that ‘the story was good but how the hell you dare to kill the character?’ Another moment of happiness was when the daughter of a great author of Indian writing industry e-mailed me about the book. That was my first fan mail. I’ll cherish this book for my whole life because it made me meet some phenomenal people and a very ‘special’ friend as well. What was the immediate review you got about this book? But if you ask me about immediate review, that was from an 8 year old girl who saw the book title and showered a long smile on me and then rushed to her mother to let her know the title of the book. That was magical moment. Any one review which is very close to your heart? Every review is special but the negative ones are little closer to heart as they give you the reason to work hard next time. I did receive a negative review from Abhilash Ruhela (Famous Blogger); I will try harder next time to make his read worth. I really hate the moment when a reader spends 6 to 7 hours of his precious time to read a book and it fails to entertain him. Any suggestion to the new upcoming writers from your end? Write regularly and keep writing. There’s no shortcut to write except to write. First try is always the harder one and still there no guarantee that the second one will be easier. The only thing which is guaranteed is that if you’ll take your work seriously, others will start noticing you and that’s what all it takes to get successful in any field. Any suggestions / message for your reader? Hey Dad! Meet My Mom… And if you are planning to read this book, I want to tell you one thing about me. I am not an author; I am just a story-teller. I can assure you that the story of the book is having every element in it to keep you hooked till the end. You can criticize me for the technicalities but not for the story that I write. I am really, eagerly waiting to read your words over the book. Thank You So Much! You can get your copies from the following below mentioned links..
HDM3 ..A perfect blend of HUMOUR , SUSPENSE , ROMANCE N SELF ACCEPTANCE.. Not only the title is CURIOUSITY PROVOKING .., the book in itself holds many secrets that the readers has to unravel.. Thoroughly enjoyed the book..! It couldn't have got any better.. A perfect pick for those who look forward to a new genre.. 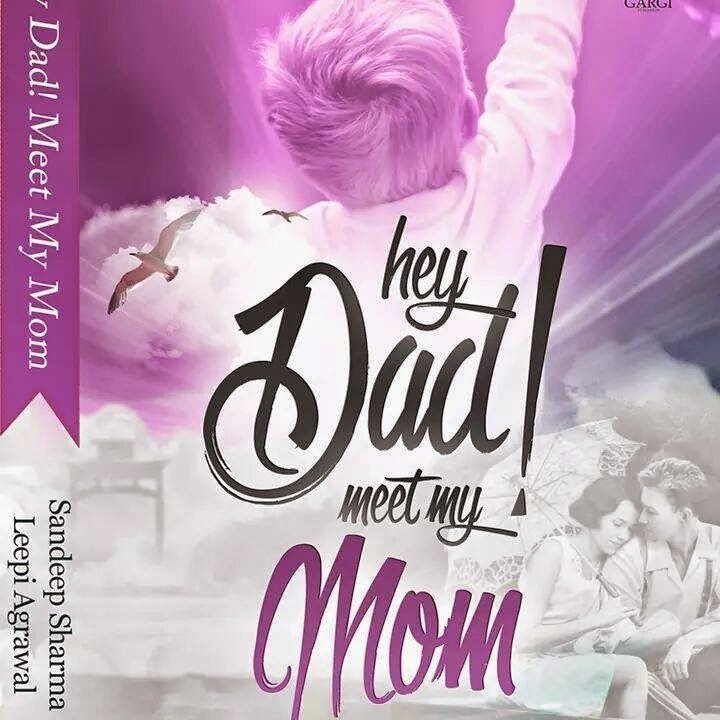 This book by SANDEEP SHARMA N LEEPI AGRAWAL makes you look forward to many more books by the author.. This book will make you laugh at its innocence amd it will make u cry too..! BE READY TO EXPECT THE UNEXPECTED ..!